The Palos Verdes real estate market over the years, like any market across the country, has seen its ups and downs. And while the significant appreciation that has occurred since February of 2012 (about 1.2% per month) may plateau with inventory (supply) rising and buyers pausing a bit before making an offer, well priced, unique, rare and high demand properties are still experiencing multiple offers. If you’re a buyer in the Palos Verdes real estate market now, what do you do when faced with a multiple offer situation? 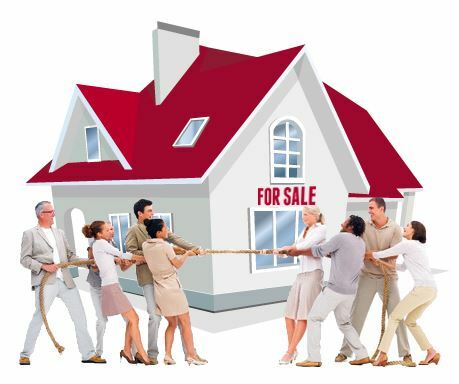 I read an article in the New York Times recently entitled “Winning a Real Estate Bidding War”. I wondered how the suggestions proffered in the article would apply to the Palos Verdes Real Estate market. There were some suggestions that are good to follow in any market, such as obtaining written preapproval for financing on those buyers not offering cash for the property. However, in my 3 decades in this business, I’ve seen preapproval letters that weren’t worth the paper upon which they were written, and preapproval letters that came with full 100% complete underwriting approval for which the funding of the loan was merely contingent upon the appraisal, good title and and escrow documentation. Certainly, creating “peace of mind” in the seller and feelings of comfort and low stress will all go a long way toward making your offer in a multiple bid situation. This is true globally let alone for the Palos Verdes real estate market. In markets that are appreciating rapidly, such as the Palos Verdes real estate market, appraisers having to use historical data, often are falling short of where the market has appreciated to “today”. I’m counseling my buyers therefore in multiple offer situations, to remove the appraisal as a contingency. Yes this is a risk in so far as this type of agreement obligates the buyer to make up the difference in a larger downpayment. For example, let’s say a buyer in the Palos Verdes real estate market is offering $1,500,000 on a home listed at $1,400,000 because a)it’s a great property, b)it’s value priced at that list price, c)there are four or five offers on the property, d)and of all the homes the buyer has seen, this is the one that fits most if not all their needs and is the one they will live in for many, many years to come. Let’s further assume the buyer is putting down 25% of the purchase price on the lender’s maximum loan to value ratio of 75%, hence a $375,000 down payment. But what if the appraisal comes in at $1,400,000. The lender isn’t going to lend 75% of $1,500,000; they’re going to lend 75% of the purchase price or appraised value, whichever is LESS. So now instead of getting a loan for $1,125,000 (75% of $1,500,000) the lender is going to only lend $1,050,000. The buyer therefore is going to have to come in with a downpayment now of $450,000. Does the buyer have the extra $75,000? You can bet when I’m working for the seller, I’m making sure we have documentation I can verify, BEFORE accepting the buyer’s offer, that the buyer has the extra cash and reserves the lender will require. In addition to removing appraisal contingencies, a buyer can shorten other contingencies in a transaction. The most prevalent of all contingencies is the due diligence. In California and in the Palos Verdes Real Estate market, the California Association of Realtors standard purchase agreement form, has a default number of days for due diligence set at 17 days. If you can remove this contingency sooner, you are providing more peace of mind and lowering stress for the seller and thus improving your chance of getting your offer chosen. Of course the big gun and the obvious big gun is PRICE. If you REALLY, REALLY want the property that bad, with your agent, figure out what a “blow other buyers out of the water” price would be. Offer that price! Don’t second guess yourself, don’t argue with yourself. If the property is that good for you and you’re planning to be there for a long time, and in 15 years you’re still ripping out your fingernails because you let yourself get beat out by $50,000 let’s say or even more … was it worth settling for a house you really didn’t like … for years and years and years? That’s a soul searching question that only you as a buyer can figure out, but your agent can help you with what that number is that is that “blow other buyers out of the water” number. Then it’s up to you. The New York Times article also talks about “escalation clauses”. What happens here is that you’re writing a clause in your offer that states you will pay for example, $10,000 more than the highest offer subject to documented proof by the seller (they’re showing you the highest offer) and then you set a stop loss at some certain point. So in the example above, let’s say you offer $1,500,000 but you put in a clause that says in the event your offer isn’t the highest offer, you will then pay $10,000 more than highest offer up to a limit of $1,600,000. Some agents are guiding their buyers to insert a clause stating that the seller is prevented from showing their offer to other buyers in order to prevent another buyer from using an escalation clause against them. My opinion is that this is bad advice. Were I advising the seller in a multiple bid situation, and assuming an offer was good enough on other terms, I would counter this clause out and if the other terms weren’t competitive, I would advise simply not engaging with that buyer. The biggest mistake buyers can make in these situation with a property that high in demand, is to think that they have the power or that their will be another chance to offer or receive the seller’s counter offer. Often negotiations are so fast and/or competing offers are so attractive that while you may assume you will get a counter offer, you just don’t get one and your agent is calling you saying they’re sorry, but the property sold to another buyer. It’s better with these high in demand properties, that there isn’t going to be the time to counter back and forth; rather, make your very best offer that you can. Otherwise, you may really end up losing the house of your dreams. Think hard on that offer price. Be honest with yourself; what is that number for which if another buyer bought the house for a mere $1,000 more, you wouldn’t be disappointed, you did the best you could. 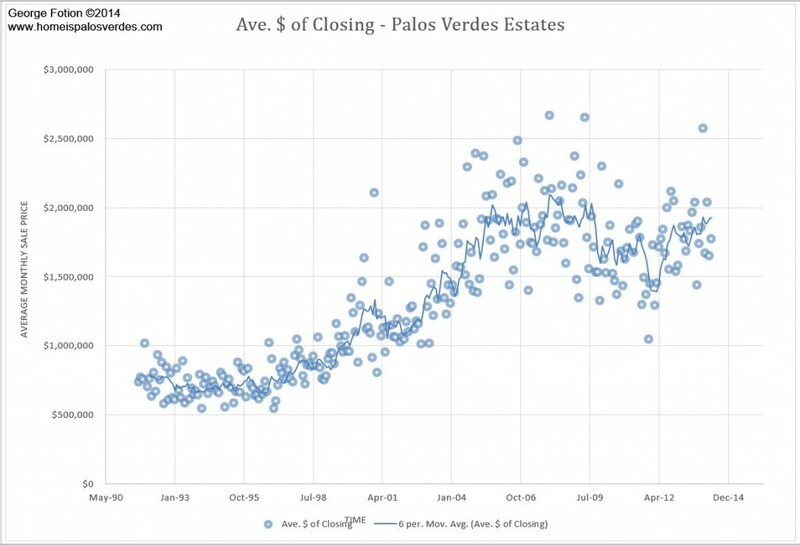 Tough challenge right, but this is the Palos Verdes real estate market we’re in right now for many high demand homes. That’s it. Those three things. So what can you do to structure your offer to touch on each of those three psychological factors. How can you appeal to the seller’s ego or self esteem? (appeal to their emotions maybe with your family pictures and background?) What can you do to accommodate the seller’s sense of time in the deal (offer a free rent back after close perhaps?) How can you reduce the seller’s stress in the deal and make them feel more comfortable with you versus the other buyers? Have these goals in mind when structuring your offer and increase your odds of winning the property! Based on information from California Regional Multiple Listing Service, Inc. as of April 25, 2019 09:44 and/or other sources. All data, including all measurements and calculations of area, is obtained from various sources and has not been, and will not be, verified by broker or MLS. All information should be independently reviewed and verified for accuracy. Properties may or may not be listed by the office/agent presenting the information.